I wondered - does anybody have any experience with Canon driver support for older printers vs newer OS? My experience has not been so good, and is forcing early retirement of a perfectly good printer, but I have the impression that Canon are usually pretty good at ongoing OS support? My old faithful Canon Pixma MX700 is up for renewal. Built like a tank, it still functions perfectly at nine years old, but Canon stopped updating OS X drivers some years ago. I have managed to keep it chugging along by installing the 'wrong' drivers, that should not work, but do. With latest macOS High Sierra I can still print, but no amount of driver hacking seems to get the scanner to work. So it is time to change. I'll probably talk myself into buying another Canon as I liked the old one so much. But a bit disappointed to see the cartridge ink volumes have shrunk lot from the old machine's generous 13ml colour, 26ml Black. I reckon total cost of ownership of old machine was about £600 over nine years, including purchase and 45-50 genuine cartridges. New printer, though purchase price is similar, will probably at least double that overall cost. Canon do offer 'XL' and 'XXL' cartridges for the new ranges, but even the XXL are smaller than the standard cartridges of my old Pixma (and more than twice the price!). Par for the course though, I suspect, just the business model for printers - which, let's be honest, are ridiculously cheap to buy. 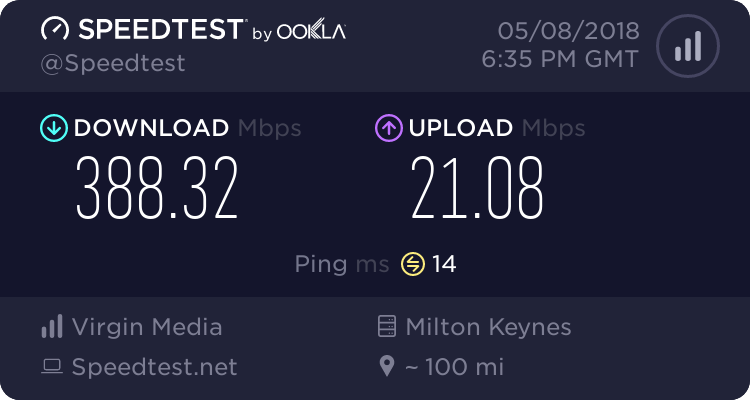 For the time being I can still scan via a VPN connection to a retired Mac mini that runs an older version of macOS. That's just a bit too clunky for long term use though, so your suggestion for alternative avenue is welcome, I will investigate. Even for printing mind, there are a few quirks. It is a networked printer shared between two Mac PCs and I sometimes find that, after being used from one PC, it needs a power cycle reset before working again with the other PC. Trouble is, that's the kind of glitch that might or might not be fixed in a new printer & new drivers, so I can't justify replacing the printer on that basis alone. What about a stand alone scanner, I've use the Canon Lide range for years now, and I've been very pleased with them. No power supply required, all runs off a single UBS cable. Not ideal though if you need to scan from multiple computers, or don't have much space, although the scanner does come with a stand. Might give some thought to a separate scanner, but probably not... our office layout has a perfect natural printer home, on top of a compact drawer unit about 15” square. Perfect spot for a printer, but not big enough for two. In any case, whilst I have managed to make the old drivers work so far, they have been unsupported for several recent iterations of macOS. There is a reasonable probability that they might stop working completely soon, maybe even after next iteration of OS, in which case a new printer would still be needed. Bottom line I suppose, the old Pixma has had a good innings, nine years. So I am fairly happy to replace. But I would be even happier if I could be confident the new one would last another nine years, with on going driver support for that time. Maybe I need a crystal ball more than I need a printer. I don't use a Mac, but have you tried any of the available drivers for a standalone Canon scanner - it might just work. I had a similar experience with two Canon printers in the past and vowed never to buy another. The drivers for the same devices were updated for Windows systems, but OS X seemed to just be dropped. Have you tried the Gutenprint drivers for Mac? http://gimp-print.sourceforge.net/MacOSX.php The Canon PIXMA MX700 series appears in the list of supported printers. The Gutenprint drivers are there for the printer but wont help with the scanner. Might be worth checking out Vuescan as it shows supoport for MX700. I second the suggestion of Vuescan. I've been using it for some time, and for supported devices it's trouble free. Have to say I must have led a sheltered life, had never heard of Gutenprint or Vuescan. They do look interesting. I’ll always be wary of installing software from sources I’ve never heard of, but thanks to these comments I have heard of them now, and they do appear legit. Vuescan does appear to a trial only with a watermark on scans, with payment needed to use for real version? Not sure I want to part with cash, for such an old printer/scanner. Wow, so mine wasn’t a one off. Reading the Canon specs, new range of printers launched last year quote a range of macOS versions that don’t include current or even recent macOS I’d assumed that was just laziness in updating documentation, but maybe not. Maybe time to break allegiance with Canon, after all. Gutenprint has been in use on Linux for years and is very well respected, their mailing list is very active and the developers very helpful. I have been using Vuescan for years, again comes highly respected and the developer is very good, you will find it supports a huge range of scanners so it is unlikely you will ever need another scanning program. For me it has been excellent value for money. Yes, I can recommend Vuescan too, been using it for years. Not so sure about cost of vuescan, having looked in more detail. I’d be using it to get around the fact that Canon updates are unreliable, if not non-existent. Yet in order to get Vuescan with updates, it seems to be £65 odd. We have at least two PCs that would be using it, and that usage would undeniably include business as well as personal. As far as I can see, that would make it minimum £130, if I am open and honest about usage. That same £130 would buy me a perfectly decent brand new printer/scanner, with updates for quite a few years, even if not for the 9-10 years I would have liked. Ok, Vuescan updates are supposedly “unlimited” and ever lasting but reallistically, who knows whether Vuescan will even exist in a few years time? Canon probably will, as will Epson, HP, etc, but I’d not want to place any bets on smaller software outfits. I bought the Standard version of Vuescan a few years back with 1 year of updates for my HP scanner which worked fine for a while but then the scanner kept getting dust in the mirrors and couldn't find the home position so I bought a Canon Lide 220 which still has driver updates for Win 10 so Vuescan is now a backup application for the Lide scanner.